Like many Americans, Mary Sweeney and Cedric Roberts believed that Child Protective Services was made up of "the good guys," the ones who protect children from bad parents who abuse their children. They didn't realize that a trip to the emergency room puts normal, loving parents at risk of losing their children. Mary wanted to make sure that everything was fine after a simple accidental injury, but the trip to the ER resulted in all 4 of their children being taken from them. It could have happened to anyone. The suburban Chicago couple spent the summer without their children, including infant twins, because a Child Abuse Pediatrician in another state has accused them of abusing one of their babies. The doctor never saw the baby in person. A fracture the doctor diagnosed ended up being a glare on her screen. There was no fracture. It was a mistake. Even so, Illinois Department of Child and Family Services (DCFS) has not returned the children to their parents. This "person" is no saint. Its a fact shes been arrested for dealing opiates. She sells then from the same house that these poor children are in. She is also on a "do not prescribe opiates" list that doctors consult when prescribing pain meds. Shes been know to sell opiates to known recovering addicts in which she knows the person was addicted to them but sells them anyway. You better check your facts when trying to make someone a saint when they should be in hell. She also has posted pics on social media of the gun that is in her house when she isnt supposed to own one. This person is no saint. She has an arrest record and deals opiates out of the same house where these poor children reside. She is on a "do not prescribe" opiates list that doctors consult when prescribing pain meds. She also is known to give/sell recovering addicts pain killers to keep them hooked so she can make her money, Is that what you call "hard working"? You better do some more fact checking before you try to make this Mary Sweeney out to be a saint. My name is Brenda Caldwell. My husband and I have a micro-preemie son (born at 23 weeks in January 2017) that is going to be turning 19 mos (15 mos adjusted). He spent 107 days in the NICU. We can sympathize with this family and what they're going through. In November 2017, our son had an accidental fall on our carpeted floor. Rightly so, we called 911. Our son was taken to the hospital and from there, our nightmare begin. After 2 CT scans and 2 x-rays, our son was found to have retinal bleeding and 2 minor brain bleeds. CPS and the police were called. They told us we had to leave the hospital and removed our son from our care pending a 72 hour removal. For 6 days, we were denied information and visitation while he was in the hospital. All we knew is he was in excellent health. They placed him (luckily) with my amazing mother-in-law. He stayed with her for 5 mos. While we were able to visit whenever we wanted, the lack of bonding due to our sheltering situation was starting to grow. 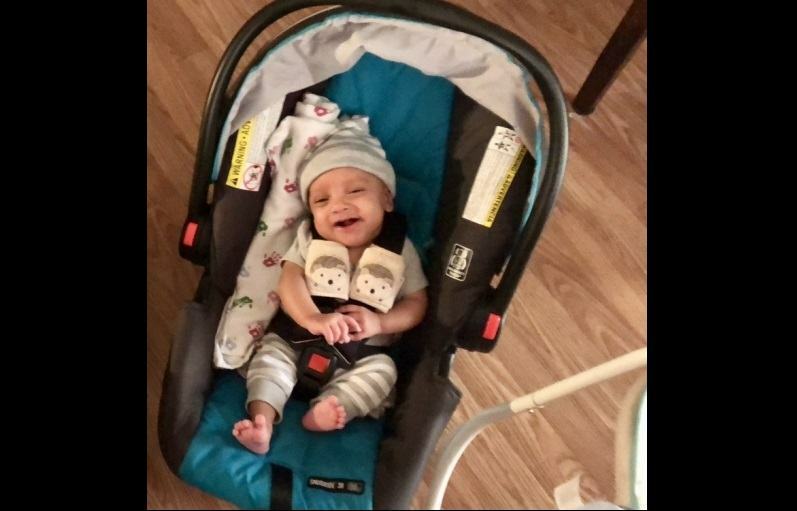 In April, we were awarded back our son, but the fight wasn't over. Due to the pediatric abuse doctor, they refused to close our case. We were heading to trial. Shortly before trial was to start in July, the state considered settling. Whether it was so they could meet their 1 yr deadline or the doctor's deposition wasn't solid, the state wanted to settle. We were nowhere near done. In fact, with EVERYTHING that has happened...this is just the beginning. My husband and I are looking to try and change the current policies in place. We all know we have a broken system and change will be slow, but we will never know what we can do until we try. We would like to reach out to this family to offer our support and possibly help work together to see what we can do to make some changes. It has to start somewhere.